We’d love your help. 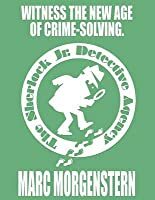 Let us know what’s wrong with this preview of The Sherlock Jr. Detective Agency by Marc Morgenstern. 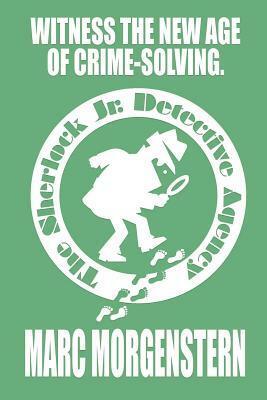 To ask other readers questions about The Sherlock Jr. Detective Agency, please sign up. Of all the fantasy worlds my kids love, their favorites feature trusted teams of youngsters who use special skills to solve mysteries and level justice. PJ Masks, Paw Patrol, The Magic Treehouse, A to Z Mysteries. These are universes where kids are the reliable detectives and enforcers, and adults are benign bystanders, clumsy clients, or they don’t exist at all. In this kids-can tradition comes The Sherlock Jr. Detective Agency, the story of a decades old society of pre-adolescent whiz kids who Of all the fantasy worlds my kids love, their favorites feature trusted teams of youngsters who use special skills to solve mysteries and level justice. PJ Masks, Paw Patrol, The Magic Treehouse, A to Z Mysteries. These are universes where kids are the reliable detectives and enforcers, and adults are benign bystanders, clumsy clients, or they don’t exist at all. In this kids-can tradition comes The Sherlock Jr. Detective Agency, the story of a decades old society of pre-adolescent whiz kids who team up to solve local mysteries as a service to their community. The Agency has administrative procedures and protocol that the most rigorous corporation would envy. With policies for recruiting members, undertaking investigations, documenting findings, and closing out cases, they are slick, lean, and far more effective than any other crop of 12-year-olds to defy the imagination. Each has an area of expertise, and they work together with seamless respect and integration. The story works in many kid-friendly ways, The elite kids are super talented and uber cool. They have an enviable and functional headquarters. Some neat plot twists keep the suspense and interest alive, even late in the story when the pace might otherwise slow down. Illegal activities go down, but nothing that frighten a young mind or cause bad dreams. A young reader might struggle, however, in a few areas. First, the split narrative in the early setup chapters is non-linear and seemingly disconnected. While a more seasoned reader understands that the threads will merge, a kid might struggle for a foothold in a narrative that changes perspectives and characters. The other challenge in the story is the large cast of characters. While the story’s charm is based partly in the diverse skills of this group of kids, they are introduced fast, and I confess I got lost in name soup, unable to learn and differentiate characters. Subsequent entries in the series might succeed by focusing on a smaller core set of characters. In all, the story mixes up many of the secret sauce ingredients that young audiences enjoy. I can imagine each of my kids aspiring to secret society detective status and playing make-believe Sherlock for many happy hours.